Hercules Glade was designated a wilderness area in 1976. 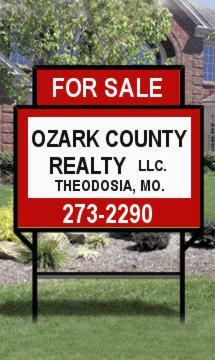 It contains 12,413 acres and is located just West of the Ozark County line, about 30 minutes from Bull Shoals Lake at Theodosia. The topography is rugged, with steep hillsides and narrow drainage creeks. Only portions of two creeks carry water year 'round: Long Creek and Cane Creek. There are three trail heads leading into the 31+ miles of developed trails. The trails are laid out in connecting loops so you can plan a 2-3 hour trip or 2-3 days. Horseback riding, hiking, primitive camping and hunting in season are all allowed. Wheeled or motorized vehicles are not permitted. The area is fairly dry so bring your own drinking water. The dominating characteristics of the land are dictated by the shallow soil and limestone outcroppings. Eastern red cedar and oak trees are scattered through open glades of tall native prairie grasses including blue stem and Indian grass. In the spring the blossoming redbud and dogwood trees will be splashes of color against the still brown prairie grass and the green of the cedar trees. Wild flowers are also surprisingly abundant and varied. 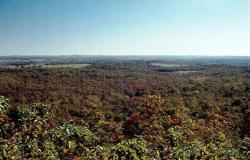 The openness of the large glades offer stunning long panoramic views from high on the knobs. They also offer good sighting of the common native wildlife including deer, raccoons, rabbits, turkey and quail. A few of the less common can be seen too, such as the road runner and collared lizard. The peace, quiet and solitude found here are unequalled. Spend a little time planning the trip. 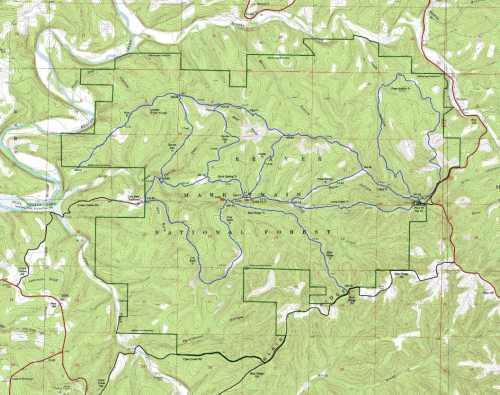 Here is a link to a National Forest brochure that offers some suggestions, a few regulations on the use of Hercules Glade and a larger printable topo map. As with most places you go here, bring a camera. There will be sights you'll want to share.